9781782390039 | Atlantic Books, January 2, 2014, cover price $25.35 | About this edition: In his new book, William J. 9780802121387 | Grove Pr, April 30, 2013, cover price $27.50 | About this edition: William J. 9780802121394 | Reprint edition (Grove Pr, July 8, 2014), cover price $18.00 | About this edition: In his new book, William J. 9780470505144, titled "The Investor's Manifesto: Preparing for Prosperity, Armageddon, and Everything in Between" | John Wiley & Sons Inc, November 2, 2009, cover price $24.95 | About this edition: A timeless approach to investing wisely over an investment lifetime With the current market maelstrom as a background, this timely guide describes just how to plan a lifetime of investing, in good times and bad, discussing stocks and bonds as well as the relationship between risk and return. 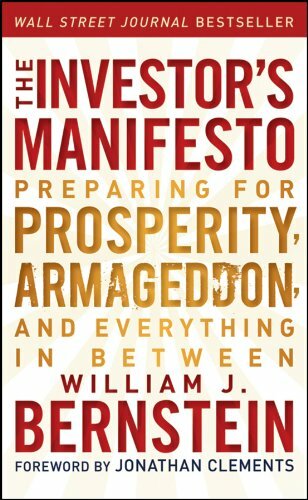 9781118073766, titled "The Investor's Manifesto: Preparing for Prosperity, Armageddon, and Everything in Between" | Original edition (John Wiley & Sons Inc, August 28, 2012), cover price $18.95 | About this edition: A timeless approach to investing wisely over an investment lifetimeWith the current market maelstrom as a background, this timely guide describes just how to plan a lifetime of investing, in good times and bad, discussing stocks and bonds as well as the relationship between risk and return. 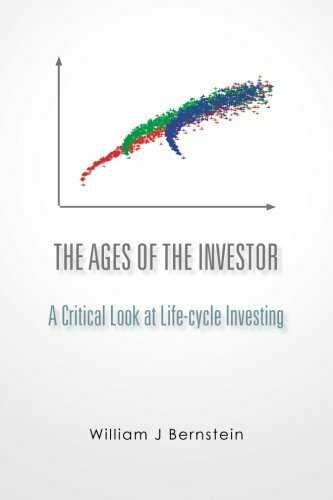 9781478227137 | Createspace Independent Pub, August 28, 2012, cover price $11.95 | About this edition: "The Ages of the Investor: A Critical Look at Life-cycle Investing" is intended to be the first installment in the "Investing for Adults" series. 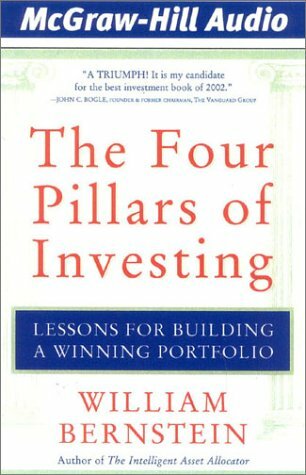 Explains how to successfully build an investment portfolio using four essential principles: the theory of investing, the history of investing, the psychology of investing, and the business of investing. 9781932378016 | Abridged edition (Amer Media Intl - McGraw Hill audio, October 1, 2003), cover price $28.00 | About this edition: Explains how to successfully build an investment portfolio using four essential principles: the theory of investing, the history of investing, the psychology of investing, and the business of investing. 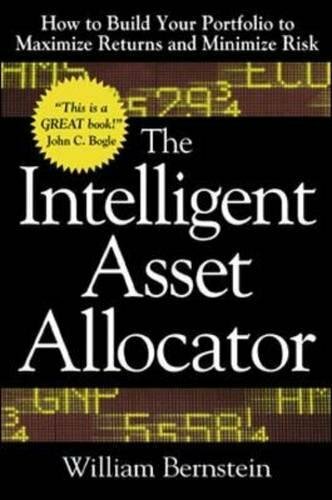 9780972488983 | Abridged edition (Amer Media Intl - McGraw Hill audio, October 1, 2003), cover price $24.00 | About this edition: Explains how to successfully build an investment portfolio using four essential principles: the theory of investing, the history of investing, the psychology of investing, and the business of investing. 9780871139795 | Atlantic Monthly Pr, April 11, 2008, cover price $30.00 | About this edition: Adam Smith wrote that man has an intrinsic Âpropensity to truck, barter, and exchange one thing for another. 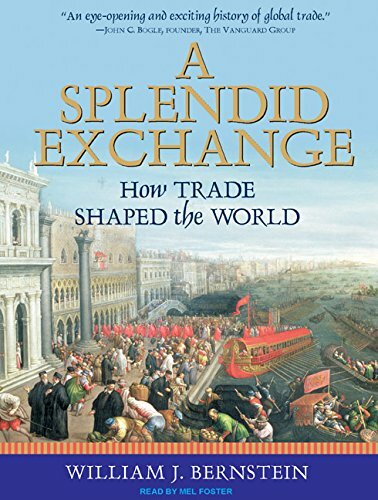 9780802144164 | 1 edition (Grove Pr, May 6, 2009), cover price $18.00 | About this edition: Acclaimed by readers and critics around the globe, A Splendid Exchange is a sweeping narrative history of world trade—from Mesopotamia in 3000 B. 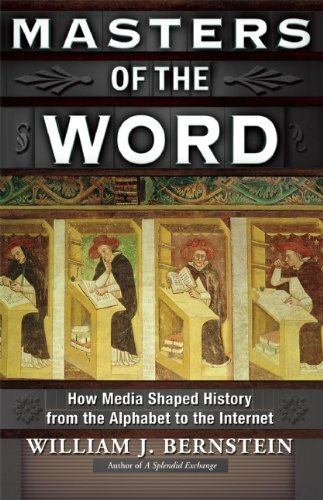 9781400106691 | Unabridged edition (Tantor Media Inc, April 11, 2008), cover price $39.99 | About this edition: Adam Smith wrote that man has an intrinsic "propensity to truck, barter, and exchange one thing for another. 9781400156696 | Mp3 una edition (Tantor Media Inc, April 11, 2008), cover price $29.99 | About this edition: Adam Smith wrote that man has an intrinsic "propensity to truck, barter, and exchange one thing for another. 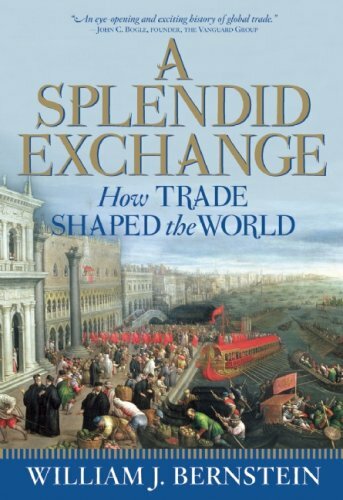 9781400136698 | Unabridged edition (Tantor Media Inc, April 11, 2008), cover price $79.99 | About this edition: Adam Smith wrote that man has an intrinsic "propensity to truck, barter, and exchange one thing for another. Presents the current state of the global economy, and identifies the forces necessary for sustained growth-scientific rationalism, property rights, capital markets, and solid communications and transportation infrastructure. 9780071421928 | McGraw-Hill, March 1, 2004, cover price $32.95 | About this edition: Presents the current state of the global economy, and identifies the forces necessary for sustained growth-scientific rationalism, property rights, capital markets, and solid communications and transportation infrastructure. 9781932378573 | Abridged edition (Amer Media Intl - McGraw Hill audio, June 30, 2005), cover price $28.00 | About this edition: Presents the current state of the global economy, and identifies the forces necessary for sustained growth-scientific rationalism, property rights, capital markets, and solid communications and transportation infrastructure. 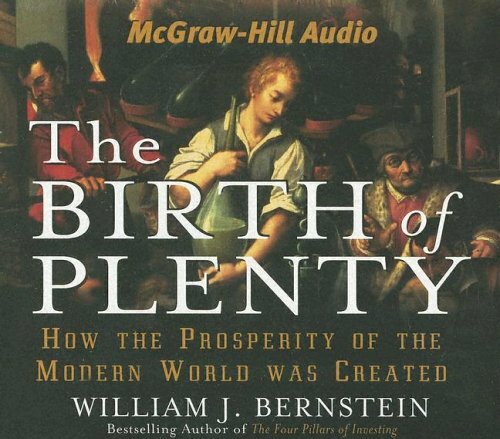 9780071362368 | McGraw-Hill, September 1, 2000, cover price $35.00 | About this edition: âBernstein has become a guru to a peculiarly â90s group: well-educated, Internet-powered people intent on investing wellâand with minimal âhelpâ from professional Wall Street.